Deep TR-808 bass meets pan-Maghreb beats, timeless voices, and futurist visions. AMMAR 808 was the sonic mastermind behind the Tunisian sensation: Bargou 08. On his debut release, Maghreb United, featuring the singers Mehdi Nassouli (Morocco), Sofiane Saidi (Algeria), and Cheb Hassen Tej (Tunisia), he connects the two to offer a radical, electronic reinvention of ancient North African music. AMMAR 808 started the project in 2017, after working with the lauded Bargou 08, searching for something to link the sense of what has been with what will be. 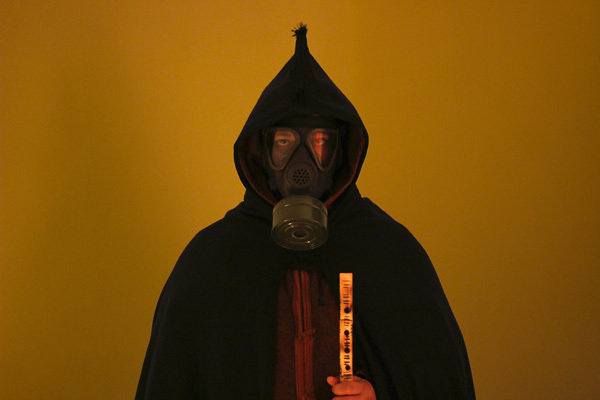 "I'm trying to weave threads from folklore and mythology into futurism. And I'm not necessarily projecting a positive image; from all we can see, things aren't going in the right direction. What I hope is that it will raise an alarm." Yet there's also plenty of hope here. With singers from Algeria, Tunisia, and Morocco, songs from the Targ, Gnawa, and Raï histories, and a TR-808 alongside a distorted gumbri (Nassouli), gasba flute, and zokra bagpipes (Lassaed Bougalmi), this is an album that reaches out to encompass the entire Maghreb area of North Africa. "In the past the Maghreb was one huge region, yet very diverse within its borders. But today, the world keeps every person separated. The album isn't so much about a united Maghrebi region, but how we can connect while observing our differences -- our differences are also our connection -- and using them to unify as humans." The choice of songs was also very deliberate for AMMAR 808, with nine of the ten cuts taken from the deep tradition. The idea for Maghreb United (which is also the name for the album's performing group) has long been burning in AMMAR 808, but it burst into flame after the musician and producer met all the singers on his regular trips in the region, before returning home to start building the tracks. The deep, rumbling growl of the gumbri, the dry, airy tenderness of the gasba, and the softly slithering zokra give a powerful North African root to the music, a thread that spins back through centuries. And the singers burn with fire and grace and passion. LP version. 180 gram vinyl; Includes download code. Deep TR-808 bass meets pan-Maghreb beats, timeless voices, and futurist visions. AMMAR 808 was the sonic mastermind behind the Tunisian sensation: Bargou 08. On his debut release, Maghreb United, featuring the singers Mehdi Nassouli (Morocco), Sofiane Saidi (Algeria), and Cheb Hassen Tej (Tunisia), he connects the two to offer a radical, electronic reinvention of ancient North African music. AMMAR 808 started the project in 2017, after working with the lauded Bargou 08, searching for something to link the sense of what has been with what will be. "I'm trying to weave threads from folklore and mythology into futurism. And I'm not necessarily projecting a positive image; from all we can see, things aren't going in the right direction. What I hope is that it will raise an alarm." Yet there's also plenty of hope here. With singers from Algeria, Tunisia, and Morocco, songs from the Targ, Gnawa, and Raï histories, and a TR-808 alongside a distorted gumbri (Nassouli), gasba flute, and zokra bagpipes (Lassaed Bougalmi), this is an album that reaches out to encompass the entire Maghreb area of North Africa. "In the past the Maghreb was one huge region, yet very diverse within its borders. But today, the world keeps every person separated. The album isn't so much about a united Maghrebi region, but how we can connect while observing our differences -- our differences are also our connection -- and using them to unify as humans." 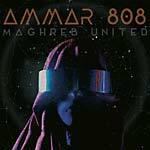 The choice of songs was also very deliberate for AMMAR 808, with nine of the ten cuts taken from the deep tradition. The idea for Maghreb United (which is also the name for the album's performing group) has long been burning in AMMAR 808, but it burst into flame after the musician and producer met all the singers on his regular trips in the region, before returning home to start building the tracks. The deep, rumbling growl of the gumbri, the dry, airy tenderness of the gasba, and the softly slithering zokra give a powerful North African root to the music, a thread that spins back through centuries. And the singers burn with fire and grace and passion.